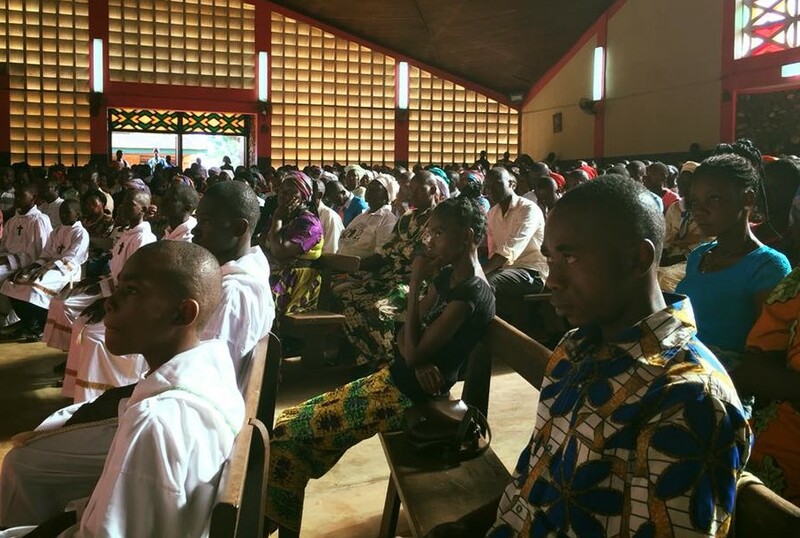 Emotions were high at Notre Dame de Fatima church in Bangui, capital of the Central African Republic on Sunday (13 May), as bereaved and traumatised worshippers prepared for a pastoral visit from their cardinal. Two weeks ago the parish became the scene of a massacre, when armed men from the predominantly Muslim neighbourhood of PK5 stormed the Mass and opened fire, killing a priest and 16 worshippers. Dozens more were injured and taken to various health centres around the capital. In the retaliatory violence that followed, another seven people were killed, a mosque was torched and many people saw their properties looted and set on fire. Now a relative calm has been restored in Bangui. Schools, offices and shops that shut in the immediate aftermath of the killings have reopened, and the traffic has returned to the city centre. However, some neighbourhoods near PK5 resemble a ghost town after inhabitants fled the violence that followed the massacre, and security forces still patrol the neighbourhoods. It was against this backdrop that Cardinal Dieudonné Nzapalainga, the Archbishop of Bangui, presided over Mass at Notre Dame de Fatima parish on Sunday. He told World Watch Monitor that the Mass offered him an opportunity to mourn and pray with members of the parish. “We made a return to the steps [of the church] to turn to life and not to death. It was therefore an opportunity for me to come and comfort the people of God, who had come in great number,” Cardinal Nzapalainga said. “It was also a moment to gather everyone, to tell them: ‘You are not forgotten, you are in the heart of God, He, the master of life’. All who choose to give death are not friends of God. Their actions do not reveal God. During the Mass he reiterated his call for calm and unity, saying: “Violence causes violence. It is time for us Central African people to come out of this vicious circle of retaliation, revenge and hatred, and to be able to take another path: the way of virtue, the way of God, the way of forgiveness, the way of justice and reconciliation. The 1 May attack was condemned by religious and political leaders. The country’s Interfaith Platform, led by the respective heads of the country’s Catholics, Evangelicals and Muslims, denounced the massacre as “blind and ignoble”, and said it “plunges us all into deep dismay”. They also suggested that the violence may have been stirred up by foreign influences, with an agenda to divide the country. “These unfortunate events are the manifestation of a Machiavellian plan implemented by some countries known as friends, with the complicity of some compatriots, to lead to the partition of the country,” read the 3 May statement signed by the cardinal, along with fellow faiths leaders Rev. Nicolas Guérékoyamé-Gbangou and Imam Omar Kobine Layama. 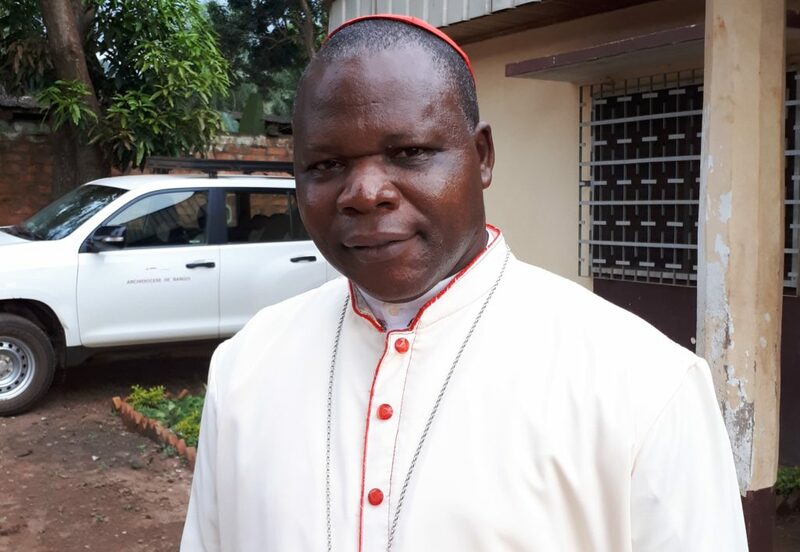 The three clerics, who have worked hard to promote good inter-religious relations in CAR, also decreed three days of prayer in all the churches and mosques (between 10 and 12 May) “for the return of peace” in the country. The cardinal had presided at the funeral of the priest killed during the 1 May attack, Fr. Albert Toungoumalé-Baba, at Bangui Cathedral on 7 May. The Requiem Mass was attended by President Faustin-Archange Touadéra and other political and religious figures. Fr. 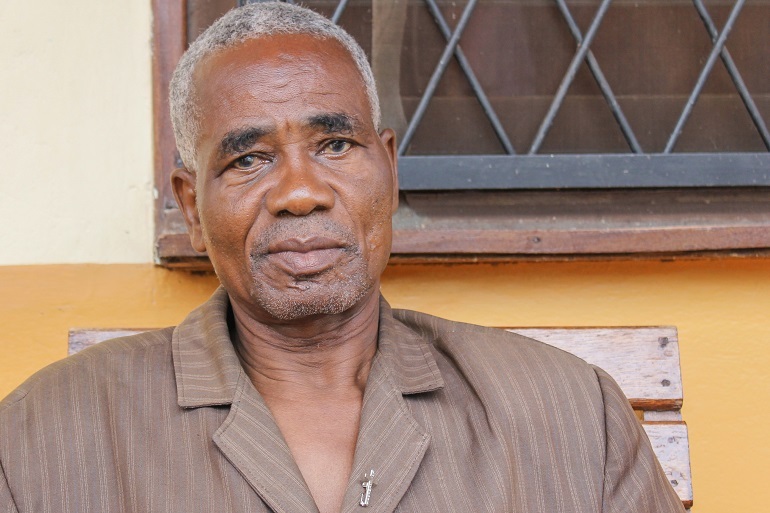 Baba, 71, was known for his commitment to peace in the Central African Republic. He had been deeply involved in resolving past crises, including the mutinies of 1995 and 1996. At that time he was secretary of the Commission for Justice and Peace of the Archdiocese of Bangui. He was later appointed priest of St. Matthias parish, in the heart of the PK5 district. He was officiating at the Mass on Tuesday 1 May, as a visiting priest, when he was killed. His death caused an eruption of violence in the capital, as an angry mob from the church carried his body in the direction of the presidential palace. They passed through the Lakouanga neighbourhood, where a mosque was destroyed and two men were burned alive, before police intervened. In retaliation, gunmen from the PK5 neighbourhood attacked several predominantly Christian neighbourhoods (Castors, Yakite, Béa Rex and Gbakondja) the following Sunday, 6 May, looting and burning properties. They also moved to attack a Catholic church – Sainte Trinité des Castors – but they were repelled by the security forces. According to Father Xyste Mbredjeze, the parish priest at Sainte Trinité des Castors, a house near the church and two others in front of the presbytery were burned down. A rocket fell on the side of the priest’s rooms but did not cause any damage, he said. The violence forced the residents to flee. According to the Network of Human Rights Journalists (RJDH), two people were killed, including the acting head of Yakité district, Félix Kolowane, and five others were injured. According to CAR’s 2003 census, the population is 51 per cent Protestant, 29 per cent Catholic and 10 per cent Muslim, others adhere to indigenous beliefs. In all, the violence sparked by the attack on the Mass has claimed 24 lives in Bangui and left 170 injured, shattering the sense of tranquillity previously enjoyed in the capital. Until recent weeks, Bangui had been considered a safe haven in the war-torn country – the only place the government is in control, with three-quarters of the country occupied by armed groups. But the latest violence brought back memories of the earliest days of the conflict, when Séléka rebels entered the capital in March 2013, and the failed attempt by self-defence militias (known as Anti-Balaka) to oust the rebels from the capital in December 2013. So far, the government and the UN Mission, MIUNUSCA, has urged the population to exercise restraint and favour the path of dialogue, in order to bring down the tension.